Men’s soccer wrapped up the exhibition schedule drawing 1-1 to Oakland at Lynn Stadium Saturday night. An 89th-minute header by Watterson Young gave the Cards the equalizer to instill confidence to what was an overall mediocre performance. Rotating the squad, Lolla fielded the majority of his second unit for the final preseason match. Lack of chemistry made it difficult for the team to move the ball efficiently. Oakland came through and broke the deadlock in the 61st. Austin Ricci’s free kick from the edge of the left side of the box hit the wall but was still goal-bound. Multiple defenders were in the area to clear, but the ball went untouched and bounced into the net. Lack of cohesion gave Oakland chances to add onto their lead, but Gelnovatch made crucial saves to keep the Cards in the game. The Cards scored the equalizer after waves and waves of attacks led to Young breaking through in the 89th minute. Oakland pressed Louisville to make it difficult for them to get a shot off. They left Ziyad Fekri open on the left, and the Moroccan found Young, whose dipping header went just above Oakland goalkeeper Liam McQueenie. 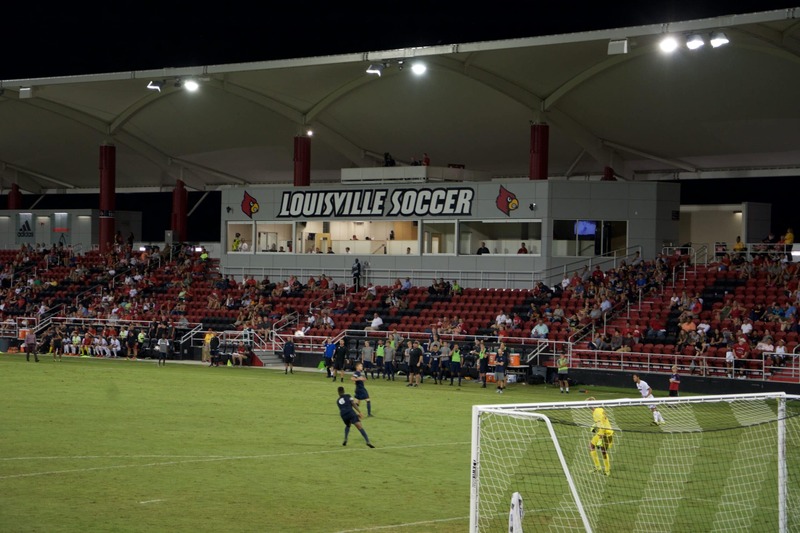 Louisville ends their preseason with a record of 1-1-1. The Cards will begin their season on Friday, Aug. 25, hosting UC Irvine. They last met in 2013 with the Anteaters victorious 1-0. Kickoff is scheduled for 7:30 p.m.
You can follow Jordan on Twitter @tlcjordanshim.